Are you? Find out if you are! Check the daily activities below that dehydrate our skin. If you do any of these, chances are your skin’s crying out for help. Yesterday, I got to talk to some experts from Neutrogena who stressed how skin dehydration is the root of so many skin problems we often encounter. Do any of these ring a bell? Dullness, dryness, oiliness, wrinkles, fine lines? Before we pile on so much junk on our faces in an attempt to hide these problems, we should always go back to the root cause first. Great skin starts with healthy skin and healthy skin is hydrated skin. No amount of junk can achieve what healthy skin can. The sad thing about this is that not a lot of Filipinas are aware that proper hydration is key to healthy skin. There are too many products out there that aim to whiten or defy aging but not so much to hydrate, which makes this new product from Neutrogena all the more exciting. So are you curious to know what it is? Well, I’ve got something special for you. One of my lucky readers will a get a chance to use this product before it hits the stores. The winner to this blog giveaway gets to try the product for herself before anyone else in the country. 1. Follow me on Twitter and Google Friend Connect. 2. 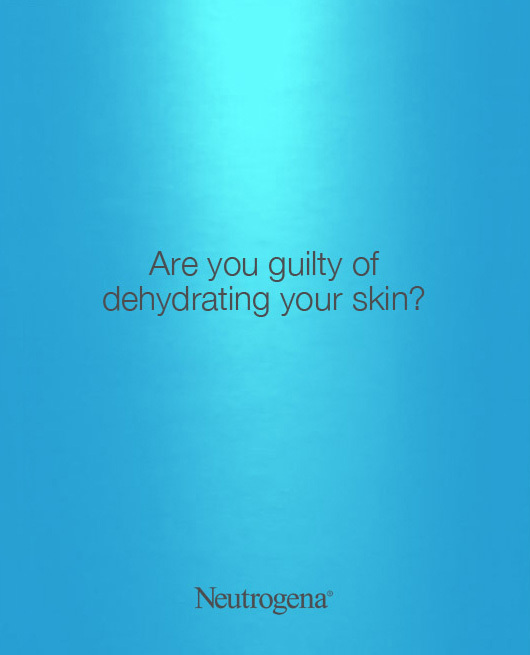 Reply to this post by telling me which of the daily dehydrating activities above have you done these past 3 days and what effects have you noticed on your skin? Don’t forget to include your Twitter and Google Friend Connect username. Deadline for entries is on May 28, Saturday. As usual, I’ll announce the winner via my Twitter. Good luck! I can’t wait to get my Neutrogena pack! I hope you are too!